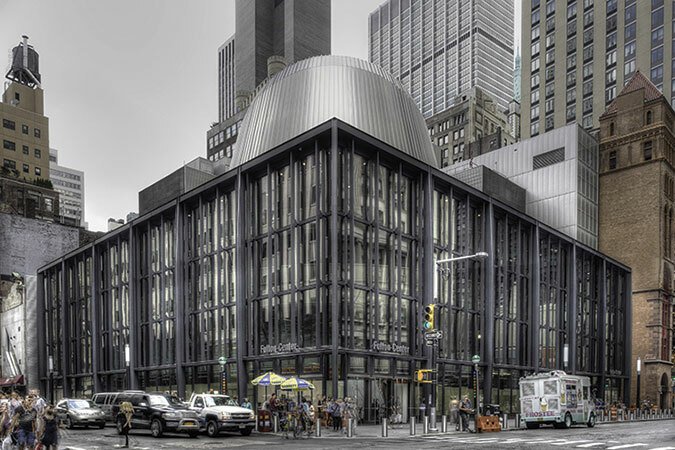 On December 12, in New York City, seven jurors convened to evaluate and discuss more than 200 projects submitted to AN‘s second annual Best Of Design Awards. The jury included Thomas Balsley, of Thomas Balsley Associates; Winka Dubbeldam, of ARCHI-TECTONICS; Kenneth Drucker, of HOK; Chris McVoy, of Steven Holl Architects; Craig Schwitter, of Buro Happold; Annabelle Selldorf, of Selldorf Architects; and Erik Tietz, of Tietz-Baccon. This year, the jury reviewed projects submitted in nine categories, including Best Landscape, Best Fabrication Project, Best Single Family House, Best Multi-Family Residential, Best Residential Interior, Best Non-Residential Interior, Best Facade, Best Student Built Work, and Building of the Year. In some categories the jury selected a winner and honorable mentions, in others just winners, and in one, Single Family House, they selected a tie between two winners. 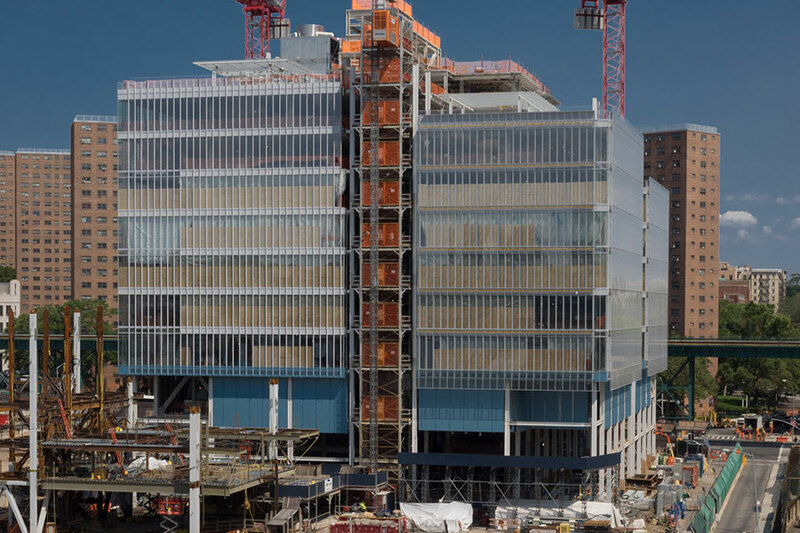 The Jerome L. Greene Science Center is the first building at Columbia University’s Manhattanville Campus to break ground. The U.S. Green Building Council selected the campus expansion project for its LEED Neighborhood Design pilot program. The program aims to “integrate the principles of smart growth, urbanism, and green building for neighborhood design.” The 10-story building seeks to accomplish this in part through its facade design. 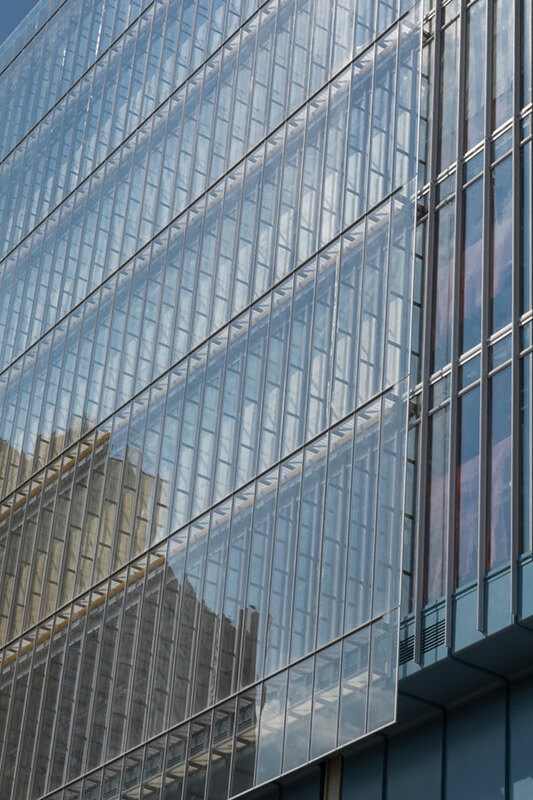 The building envelope consists primarily of transparent floor-to-ceiling glass walls, including high-performance structural facades, double-skin walls, and a series of metal and glass canopies and vestibules. 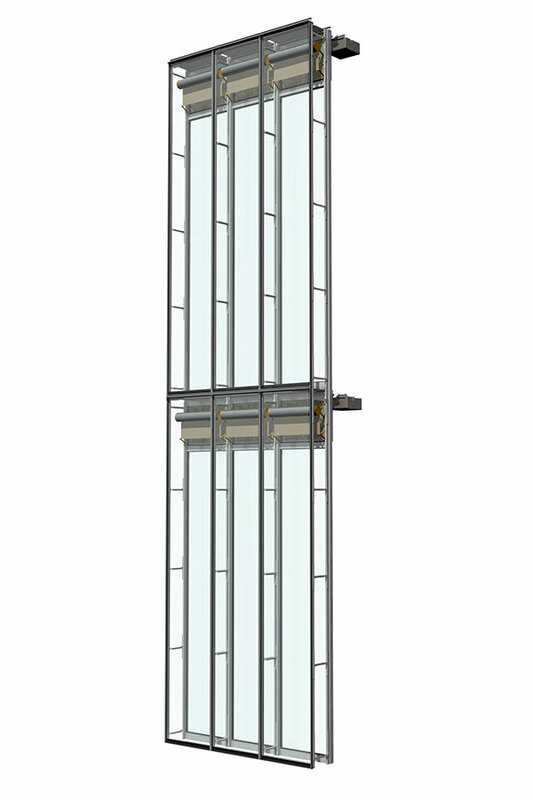 The project’s double-skin wall was designed to mitigate noise caused by an elevated train located just 60 feet from the building as well as to provide the performance targets necessary to meet the rating system’s tight energy usage requirements. 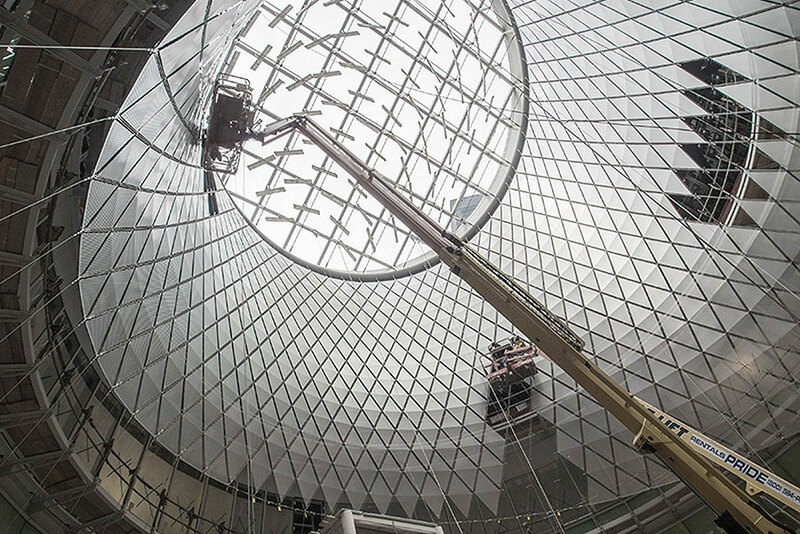 Sky Reflector-Net is an integrated artwork for the Fulton Center transit hub in Lower Manhattan. It shapes the interior of the building’s atrium with a double-curved tensioned cable net clad with perforated metal panels. Light enters the atrium through an oculus and is then reflected into the subterranean levels of the underlying subway lines, providing these spaces with a glimpse of natural light. 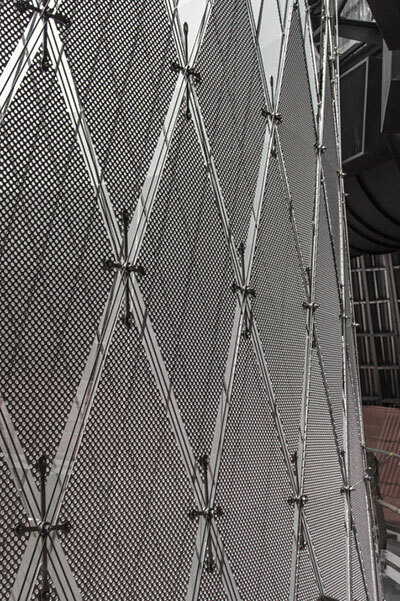 The two-way cable net supports 952 unique triangular and rhomboid shaped panels in 17 rows that cover 8,424 square feet of surface area.